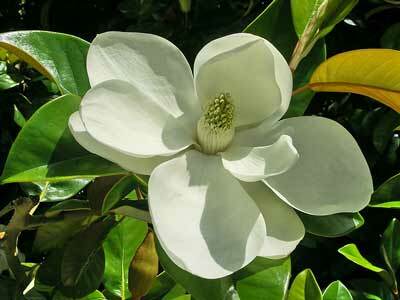 Origin: Native to India, Napal Burma, China, Malaysia, Indonesia. 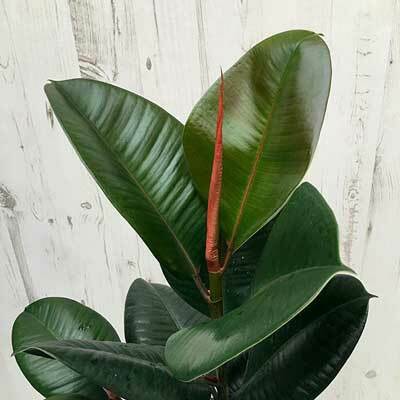 Ficus Elastica from the Moraceae family goes by many different names depending on the country, but the most commonly used worldwide is rubber fig or rubber tree. It originates in East India, Nepal, Bhutan, Burma and China. It can also be found in Sri Lanka, West Indies, Australia and parts of the USA. The leaves are 10cm wide and 20cm in length with an oval-shape. They are dark green in color with a shiny waxy top surface and a dull bottom surface. The rubber fig plant produces a yellow colored small oval in shape fruit. The flowers of the fig tree are not very colorful or ornate. It is one of the largest trees in the world by volume and can grow up to 30 – 40m (100 – 130 feet) in height. Its trunk can reach a diameter of 2m (6 feet) in diameter. Its trunk is strong enough to support the very heavy branches as the rubber fig is renowned for its enormous canopy. Like most other Ficus species the rubber tree grows large aerial roots that extend from the lower branches to the ground in search for water. Growing natively in the sub-tropical parts of the world the ficus elastica thrives in temperate environments with rainfall. The do not like the cold nor do they like very humid tropical environments. If caring for a rubber tree domestically, you should avoid over-watering. It is good to place the Ficus Elastica tree in the nice bright light. The direct sunshine should be avoided. 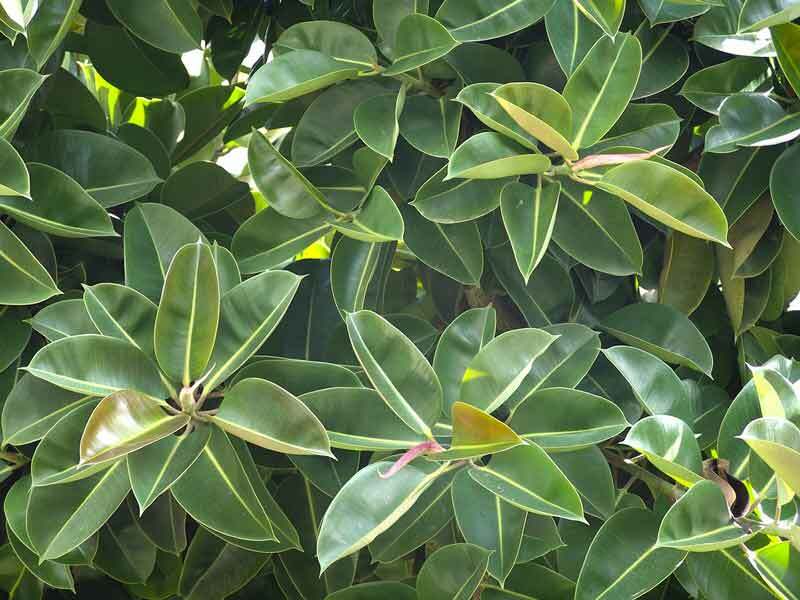 They like good water often so water the rubber tree once in a day, but avoid over watering by making sure the soil is dry before watering again. You must also make sure that the tree pot has the holes to drain the excess water into a plate that can be used later when needed. A fig tree pot should be a well-draining pot. The mixture of the soil must include 1 part peat, 1 part pine bark along with a part of coarse sand. It is important to re-pot the tree per year. The soil must be renewed once in a year for the healthy growth of the tree. As this is a relatively fast growing tree, it will use up the soils nutrients quite quickly, so it’s essential to renew each year. It is advised to feed your fig tree twice per year with the diluted liquid fertilizer. The spring and summer two best seasons to feed your fig trees. You can propagate the fig tree by cutting few inches of fresh growth just below the new growth bud of the tree. Allow the sap of the tree to dry for one hour. Tip: You can use the heating pad to warm the soil of the tree to simulate natural conditions. The ideal temperature should be around 70°F (21°C) – 75°F (24°C). 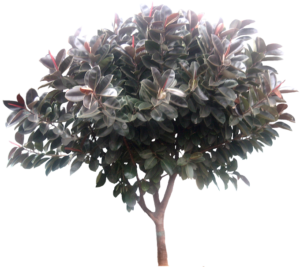 The Ficus elastica grows perfect with the normal humidity. You can also spray the water on the leaves in the summer season. The fig tree can be pruned once it reaches the desired height. The ideal time to prune is just before spring. It is fine to trim it in any other season as well if it is an indoor potted plant. Packed full of vitamins and rich in sugar the fruit of the ficus elastica contains a substance called mucilage which is also present in Aloe Vera plant and some cactus. It is very helpful with a host of stomach problems such nausea, general pain or digestive problems. For more information on health related subjects we suggest you visit SelfGrowth.com. It’s the most complete guide for information on Self -Improvement, Personal Growth and Self Help and health topics on general. The dry and raw figs can be very beneficial for constipation. You can boil 3 dry figs and drink the water, then eat the rest of the figs to cure constipation. The dry fig water is a great mouth cleaner. Mouth sores, inflammation, and mouth disorders can be healed with fig water. It can also help if you have a cough. As above boil some dry figs in water and drink the liquid after straining. The milky white material in the leaves can be applied to the insect bites. It can heal the bite rash and itching quickly. You can also apply the latex on warts and corns to heal them. The rubber tree is very commonly grown as a house plat worldwide. Although it can grow up to 30m, when kept in a pot it can be kept at a much more manageable height of about 3m (10ft) or about 10% of its natural potential. People in India guide the roots of the fig plant to build bridges naturally. The fig trees can bear drought and easily bear humidity and wet climate to grow. It is also grown as an ornamental plant or house plant. It can grow faster in frost-free, tropical temperature. You can also grow it in bright sunlight, but it cannot bear hotter temperatures. Its height can be controllable if grown inside the houses. The leaves of the fig tree contain a milky white compound in it which is known as Latex. This latex can usually be used in making a host of rubber products. You may find your fig tree’s leaves turning yellow. This is the result of poor soil and under-feeding. You should pay attention to the quality of the soil while the soil is changing at least once per year if potted. Your fig tree may lose its leaves, and it may occur when you over-water. The low temperature, low light or not paying attention to the re-potting could also cause the leave shedding. If you find your fig tree covered with the pests, immediately spray the pesticide on the leaves. The treatment will depend on the peat so consult an arborist for more specific information. If you found brown spots on the fig tree leaves due to cold temperatures. If notice brown spots beginning to develop, immediately move your plant to a warmer part of the house with a bit more light. Direct light hitting the pot of the plant and not the leaves would be ideal. Note: The latex of the fig tree can be poisonous to human and pets. It can also cause vomits or diarrhea if taken internally. The fruit is the only part that is used internally.